After many years in our gene bank Blue Velvet, sister of our famous Blueberry, is back. Blue Velvet is 50% indica/50% sativa although the indica genetics are the dominant ones which tend to be expressed more clearly. 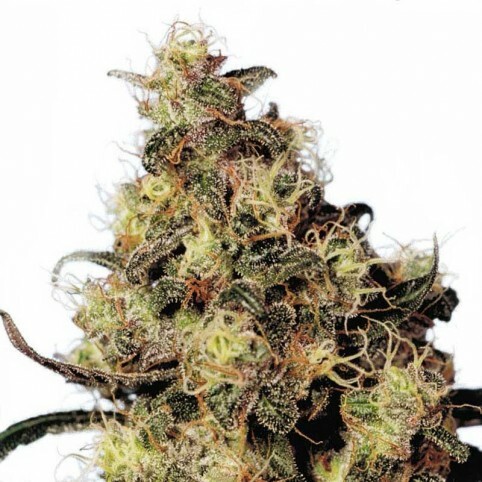 The parent genetics come from Purple Thai (a cross of Oaxaca Gold and a special Chocolate Thai) and a powerful Afghani Indica. In the 1990’s Dutch Passion worked together with the original Blueberry breeder, this was the time when Dutch Passion first introduced the Blueberry family into Europe. Blue Velvet has been bred using original seed-stock from that 1990’s breeding project. AK Automatic cannabis seeds deliver exceptionally smaller plants taking after little Christmas ..